It’s raining security patches all around. 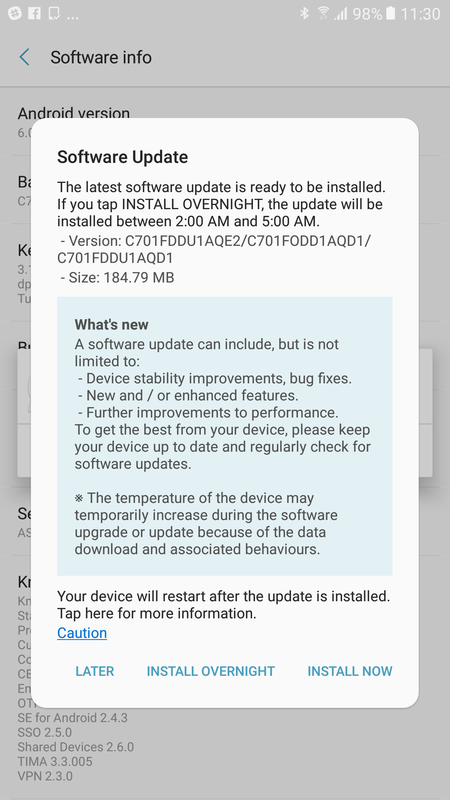 Samsung has just started pushing the latest security patch for the Galaxy C7 Pro in India, bringing the security level to May 1. This follows the update for Samsung’s newest flagships, and also for existing flagships like the Galaxy S6 and S6 edge. For details on what the May security patch brings, check out this post. The C7 Pro update is rolling out over the air as a 184 MB download, with the changelog mentioning the usual stuff about stability and performance improvements. You should see the update show up on your phone as it seems to have been available for a couple of days. If not, go into the Settings » Software update menu and hit the Download updates manually button. Notice anything new or different after the update? Leave us a comment below to let us know! 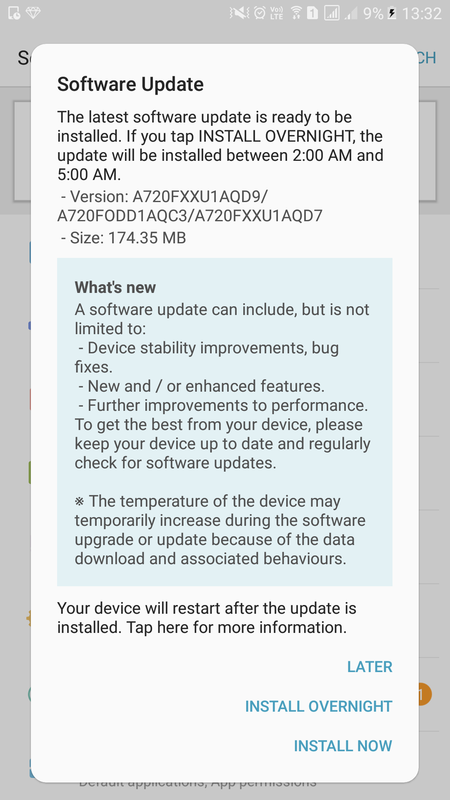 Update: The Galaxy A5 and Galaxy A7 (2017) are also getting the same update, sized at 174 MB. I have a doubt regarding the oreo update for Samsung Galaxy c7 pro ( if it receives). I’ve heard that the s9+ is now dual volte enabled after updating it Android 8.1. Will that be the same with the Samsung Galaxy c7 pro? If not when will it receive its oreo update? Today my Samsung Galaxy A7 2015 had received May security update and Wi-Fi calling feature in notification panel.But still themes store is missing which I really needed I don’t even care it gets nougat update or not Samsung should think about it.